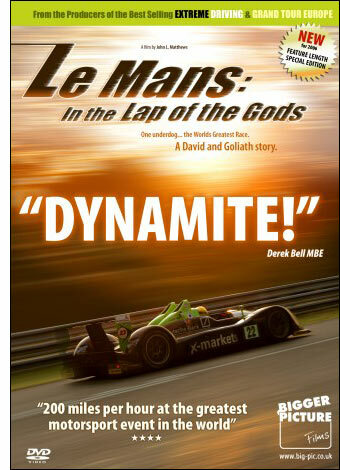 We reviewed “Le Mans – In the Lap of the Gods” here some weeks ago, the DVD diary of Rollcentre Racing’s Le Mans adventure in 2006. Producer John Matthews has found that the market was ready for something a little different from the usual festive fare of season reviews: as proof of the demand, this reviewer alone has now fielded around half a dozen calls and e-mails from prospective buyers (that’s the commission on six sales you owe me John!). The news today is that his efforts have been awarded the Top Gear Magazine DVD of the Year, no mean feat from a magazine owned by the BBC! The production company have also been fielding enquiries from potential US buyers, but as always rights issues and formatting add cost for some markets.